-- NCG and BasicPM ™ celebrating 18 years! Compare this to other training organizations charging an average range of $1,900 to $2,388. Learn why we can offer a lower price. "This week saved my career"
Since August 2001, NORTHPOINT Consulting Group, LLC has been a training organization advancing human and organizational learning, as well as offering strategy and management consulting advice and problem solving to improve a client's value position. Specializing in the functional practice area of project management, the goal is to establish and strengthen individual or organizational ability to manage and lead projects for the purpose of value realization. As a core capability and strategic value driver, project management significantly impacts the organization's ability for true value creation, competitive positioning, and profitability. The newest publication of A Guide to the Project Management Body of Knowledge (PMBOK® Guide) is the Sixth Edition, and published 6-September 2017. And the certification exam? The exam was updated 26-March 2018 so as to be consistent with the new edition. You can learn more about this and other ongoing editing processes from the Project Management Institute (PMI) by following the link below. 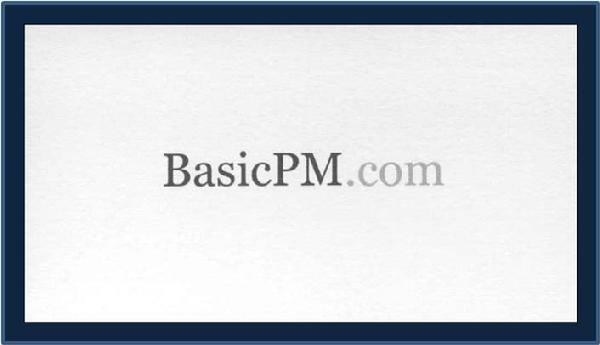 BasicPM™ has been a NORTHPOINT CG trade mark name, representing serious Project Management learning content and offerings since 2001. The designations “PMP®”, “CAPM®”, “PMBOK® Guide”, or “PMI®” are cited as needed throughout the session. Please note that the designations PMI, PMP, CAPM, and PMBOK as cited are registered marks of the Project Management Institute Inc. The designations “BasicPM” and “CohortPM” are trademarks of Northpoint Consulting Group, LLC.